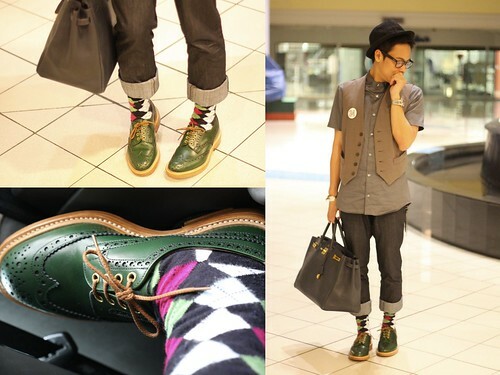 Lookbook inspired everyone to document and share what they're wearing. It also gives people inspiration on what to wear. Runway2Reality interviews Dennis Robles about personal style, fashion, the hypes he's getting on lookbook and more. I know it’s fictional but I admire chuck bass’ fashion sense. I buy blazers visualizing how he would put it on together, and those pink bow ties look so dandy on him! I'd describe my style as non-conformist. I buy clothes and shoes that aren't commonly seen on the streets, there's got to be a little twist. It could be a long sleeved shirt but the buttons are irregularly placed or the print is stunning. I do visit thrift stores once in a while to snap up that one of a kind piece but I mostly purchase branded pieces as they last longer and styles are updated. I have a bad case of shoe addiction, admittedly. I do everything it takes to get my hands on that pair i saw in a runway show or in a website. I passed through various phases for shoes, from high top sneakers to driving shoes to multi-shaped oxfords, i try to rotate usage in order to squeeze mileage out of them. I'm a fan of man-bags too! I go for investment when buying one, it's gotta be a Hermes birkin 40cm. I love the fact that its value appreciates like diamond and that everyone covets but cannot easily be acquired. You're getting a lot of hypes on lookbook.nu and consistent in posting. How did you start? How long have you been doing this (lookbook)? I’ve been in lookbook since November 2008 I think. My friends introduced the site to me and I thought why not give it a shot anyway I enjoy dressing up everyday. Lookbook serves as a fashion inspiration to me, when I couldn’t think of a good ensemble to pair, I check out the “hot” page and voila! I have my look for the day. Your photos are really nice, who takes 'em? My secretary mostly takes the photos but if she’s not around, my driver or friends do it. I need at least 30 trial shots for that lookbook-worthy post! I travel to Hong Kong once a month for business and to other countries several times in a year for leisure. I’ve been to many places but I still end up splurging in Hong Kong since I know it like the palm of my hand. I have membership and discount cards at Joyce, Lane Crawford and others so I make sure never to miss them during my visit. For clothes, you’d spot these brands in my closet: Ben Sherman, Topman, Spy by Henry Lau, H&M, Zara, Tyler, 5cm, and 2percent. Don’t overdo everything! 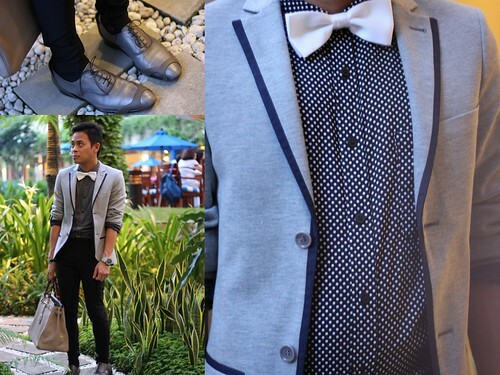 I tend to be overly pimped up at times, I realized I should downplay on some areas of my outfit. In fashion, it’s gotta be my birkin bags, designer footwear and swiss watches. As for the most expensive single item ever bought, it’s a condo unit at the Shangri-la Place. When shopping for a designer wear, get one that’s not common. Pay attention to small details, it’s what you pay the designers for. Do check out thrift stores too, there could be a fabulous outfit buried somewhere there!